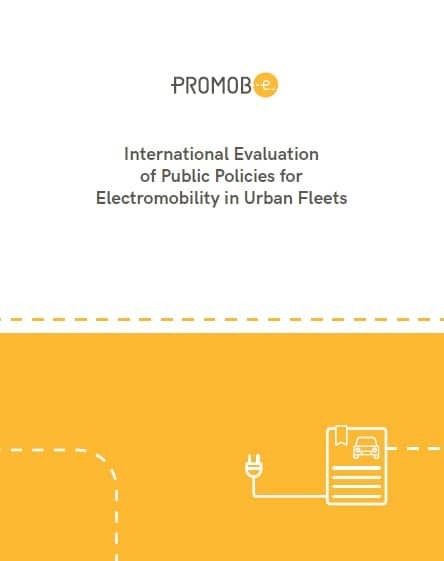 This study contextualizes international experiences in public policies for electromobility in urban fleets in Brazil. According to the evaluation, powering urban buses with electricity is adequate for Brazil because it combines the benefits of electrification with investments in urban mobility. Additionally, promoting urban mobility with incentives to mass transit instead of individual cars results in greater environmental benefits, such as reduced greenhouse gas emissions in urban areas. The publication was developed by the Deutsche Gesellschaft für International Zusammenarbeit (GIZ) GmbH and the International Council on Clean Transportation (ICCT), by demand of a German-Brazilian project promoting electromobility (PROMOB-e), a cooperation between the German Federal Ministry for Economic Cooperation and Development (BMZ) and the Brazilian Ministry for Industry, Foreign Trade and Services (MDIC). The study is also available in Portuguese.